Florida already has one Democratic candidate who went to space, Sen. Bill Nelson. 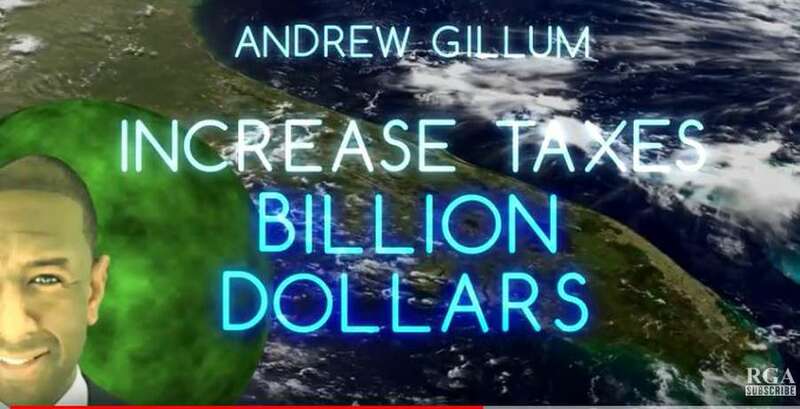 Now the Republican Governors Association is launching its first Florida TV ad (Video below) casting Democratic gubernatorial candidate Andrew Gillum as a lefty cosmonaut intent on abolishing ICE, raising taxes, and "a government takeover of healthcare. "How far out is Andrew Gillum? He's on another planet." Gillum supports raising the corporate tax to better fund education, wants to turn ICE into a "more compassionate and focused agency" concentrating on immigration issues, and what the RGA calls a government takeover of healthcare, Gillum calls Medicare for All." "The latest extreme Republican attacks are not fooling Florida voters. Mayor Gillum wants to expand Medicaid and make affordable healthcare a right for everyone. These false and misleading Republican attacks are trying to distract from Ron DeSantis's radical voting record and agenda. DeSantis voted to end Medicare as we know it, to gut Medicaid, and to hike premiums on people with pre-existing conditions and seniors. This election is a clear choice: Andrew Gillum wants to expand access to health care to more Floridians, Ron DeSantis wants to rip it away."